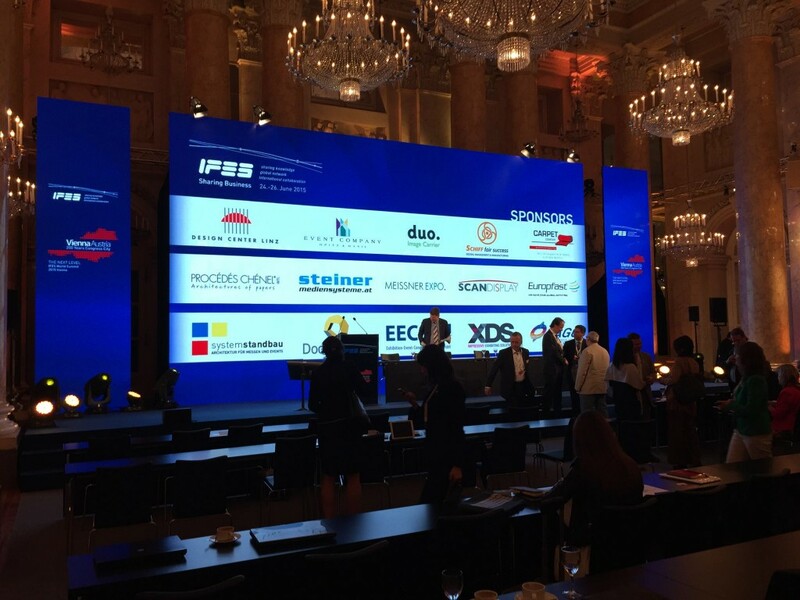 We are proud to announce that XDS participated at IFES summit Wien 2015 as a sponsor, and also as a host, Voicu Sferdianu, the CEO of XDS, being the IFES president starting this year. The world summit messages as “Sharing Business”, “Next level” and “Green Business” were much appreciated by the 250 plus participants from all over the world. The knowledge transfer is an advantage for the exhibition clients. For clients like you, because the exhibition future will take sensory experience, environmental care, community involvement and competitiveness to a next level. Voicu Sferdianu and IFES had as guests known business persons that shared their experiences and sketched the trends for the next decade. 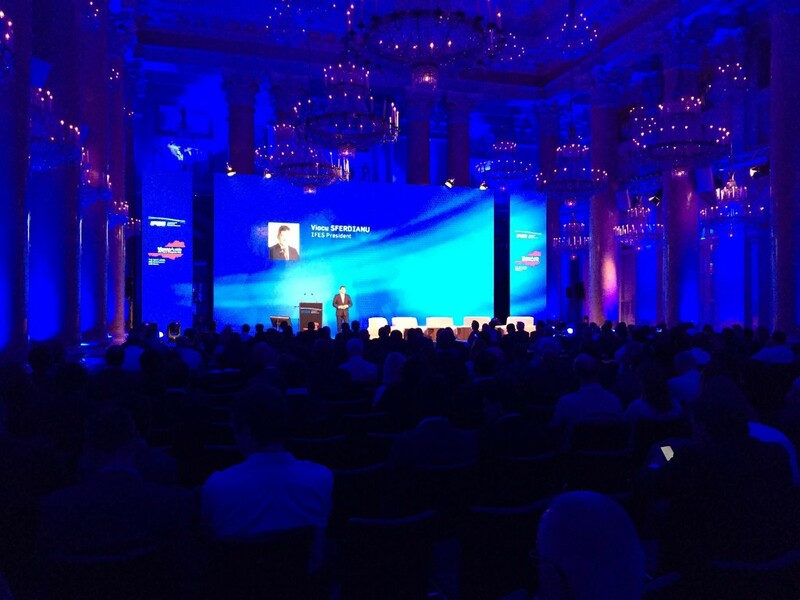 We are referring to Georg Pölzl- Chairman of the Board and Chief Executive Officer for the Austrian Post, Martin Bittner- Cisco Entrepreneur in Residence, Paul Woodward- UFI, and also The Pioneers team- the biggest festival of innovation from Europe and the Eurovision organizers. Two impressive days, two days of SHARING BUSINESS at NEXT LEVEL. XDS is a part of IFES organization and it is among the pioneers which believe in exhibitions innovative ideas, ideas that help clients be more impressive and relevant. Ideas that offer “live” experiences for the public through new practices from the industry, with cost optimisation.